Following his performance on last night's Tonight At The Palladium, X Factor winner Joe McElderry revealed that he will be releasing his first album in five years on 14th July on Bill Kenwright’s record label, BK Records. 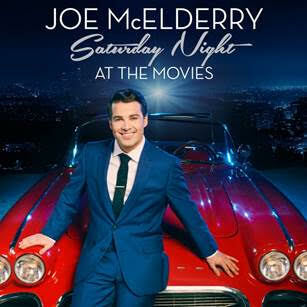 Saturday Night At The Movies is inspired by Joe’s love for film and theatre, and will feature newly orchestrated recordings of iconic hits such as ‘Can't Help Falling in Love’ from Elvis Presley’s Blue Hawaii, Dirty Dancing’s ‘The Time Of My Life’ and the inevitable ‘Any Dream Will Do’ from Joseph & The Amazing Technicolor Dreamcoat. The album will also include a bonus track of the hit single ‘Gloria’, written by acclaimed songwriter and 10CC frontman, Graham Goudman. 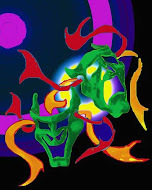 Joe is currently playing he lead role in the tour of Joseph and the Amazing Technicolor Dreamcoat, and duringa summer break in the tour and to celebrate the release of his fifth studio album, Joe will embark on a nationwide live tour this summer featuring songs from the new album, from 14th July 2017. Joe will be joined on stage by 3 special guests who have all starred as Joseph in Bill Kenwright’s production: X Factor’s Lloyd Daniels and ‘Any Dream Will Do’ runners up Keith Jack and Ben James Ellis.